Home exercise equipment can be a minimal investment or a major investment so you want to make sure you are getting what you need to meet your work out needs. You can get a complete workout either way, the trick is get the type of equipment you enjoy working out with to get a complete work out. For a complete work out without spending a lot of money invests in resistance bands, jump ropes, free weights (canned soups can be used as free weights to begin) and an exercise mat. Balance balls are also good equipment to help strengthen and tone muscle groups. Working out with balance equipment can help improve your coordination, core strength and your flexibility helping you to prevent injury. You may want to purchase a good work out DVD to teach you how to do the exercises properly to get the full benefit of balance balls and resistance bands. Before investing in exercise equipment determine if you have room in your home to set them up. Some are large and bulky. 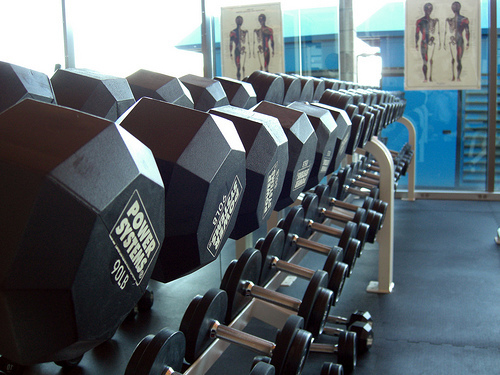 The most common exercise equipment is the treadmills which can give you are full body work out. Walking, jogging or running without holding the railing works not only your upper body and lower body but also provides you are great cardio workout. Before you purchase find out the features available for the treadmill. You may want the basic treadmill or one that has inclines or monitors your calorie burned, distance, speed, heart rate, etc. Treadmills have become quite advanced and offer a variety of functions to meet the wants and needs of most individuals. Rowing machines work the whole body including the cardiovascular system. Stair steppers and elliptical trainers are also very popular and provide a complete workout. To get a full workout with stair steppers make sure you pump your arms while stepping. Before purchasing expensive equipment check the local gym and work out on the equipment you are planning to purchase to make sure it meets your needs before making this large investment. When looking for workout equipment you should always know which muscle groups the particular piece of equipment will work. Always try out equipment at the local gym before making an investment and make sure you have room in your home to set it up.